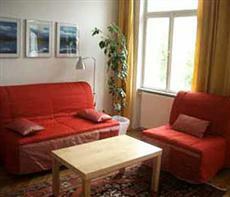 Occupying an optimum location for the visiting professional or cultural tourist, the City Apartments Stuwerstraße in Vienna offer all the benefits of a hotel with the independence of home. This great value self catering accommodation is conveniently located for the trade fair area and Congress Centre, along with the famous Prater funfair of Vienna. This charming attraction draws visitors from all over the world, and helps make the capital of Austria perfect for a romantic weekend break or a family holiday. Nestling in a calm tree-lined street, the apartments offer you tranquility as well as convenience, and you will undoubtedly enjoy the proximity to Danube island, which provides plenty of relaxing recreation for all the family, such as swimming and watersports. Whether you are here for working purposes or to enjoy the historical and cultural delights of Vienna, by choosing this comfortable and affordable central apartment you will have made the right decision. Newly renovated and equipped with high speed Internet and a welcome range of amenities, you have everything you need for a short or long term stay.